Importers of vehicles who have been unable to register them owing to a shortage of number plates should obtain Temporary Identification Cards (TICs) for indefinite use as Government works on addressing the matter. TICs normally have a 14-day lifespan. Transport and Infrastructural Development Minister Joel Biggie Matiza announced the development in a statement yesterday. “Any newly-imported vehicles may not be driven on our public roads until and unless they have some form of acceptable and displayed identification documents such as Temporary Identification Cards (TICs),” he said. “The validity period of Temporary Identification Cards has with immediate effect, and in consultation with the Commissioner-General of the Zimbabwe Republic Police, been relaxed to run for an indefinite period from the date of issue, and until further notice from the statutory standard 14 days. “Again and in consultation with the Commissioner-General of the Zimbabwe Republic Police, Government has decided to allow the use of Temporary Identification Cards throughout the country without confining usage to a specific and or confined route, again for an indefinite period from the date of issue until further notice. Minister Matiza said to prevent abuse of the liberalised use of the Temporary Identification Cards, affected motorists must always carry vehicle’s importation documents. This is inclusive of the Customs Clearance Certificate, Bill of Entry Documents as well as the Southern Africa Regional Police Chiefs Cooperation Organisations (SARPCCO) certificate in the case of vehicles imported into the country from within the Sadc region. Minister Matiza said some vehicles were on the roads without registration number plates and owners blamed it on shortage of number plates at the Central Vehicle Registry. “While it is true that we are currently experiencing a shortage of number plates in the country due to scarce foreign currency, the behaviour to drive an unregistered vehicle on our roads is contrary to Sections 6; 10; 18; 19; 20 and 21 of the Vehicle Registration and Licensing Act (Chapter 13:14), which stipulate the need for vehicles to be registered and to always display their registration marks and numbers,” he said. “What has been disturbing is that quite a good number of such vehicles have been involved in road traffic accidents after which the driver vanishes into thin air, rendering any further investigations difficult. “It is also common knowledge that some of the vehicles plying our public roads without displaying any form of identification tend to be used in the perpetration of crimes, taking advantage of their concealed identity. 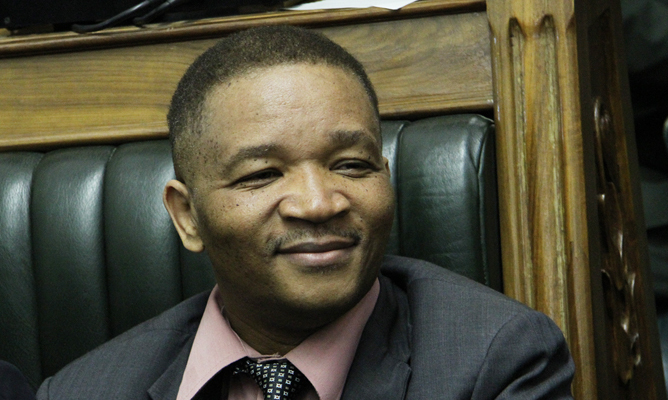 Minister Matiza said “vehicle flea markets”, as well as properly registered and long-established garages, were also guilty of either keeping unregistered vehicles on their premises for more than 14 days or at worst, driving such unmarked vehicles at night in breach of the governing statutes. He said in terms of the law, only registered car dealers were allowed to keep unregistered vehicles as stock in bond houses for resale to their customers. “Garage-owned vehicles should always be driven on the roads while displaying garage licence plates in the manner stipulated in the statutes,” said Minister Matiza.